A few days ago we announced the direct imaging of Pluto through the eyepiece of a Unistellar eVscope prototype located in Marseille, France. To make sure that this was not a fluke, I decided to try to observe Pluto from San Francisco— more precisely, from my little backyard in the middle of the city. And we succeeded! Animation showing two observations of the same area of the sky taken with Unisteller’s eVscope. The dwarf planet Pluto (cyan circles) is moving with respect to the stars. The green circle shows the location of a cosmic ray that hit the detector during the recording of one frame. I conducted my observations at two different times: on Tuesday, September 19, a semi-clear night, and on Friday, September 22, an exceptionally rare warm night in San Francisco. 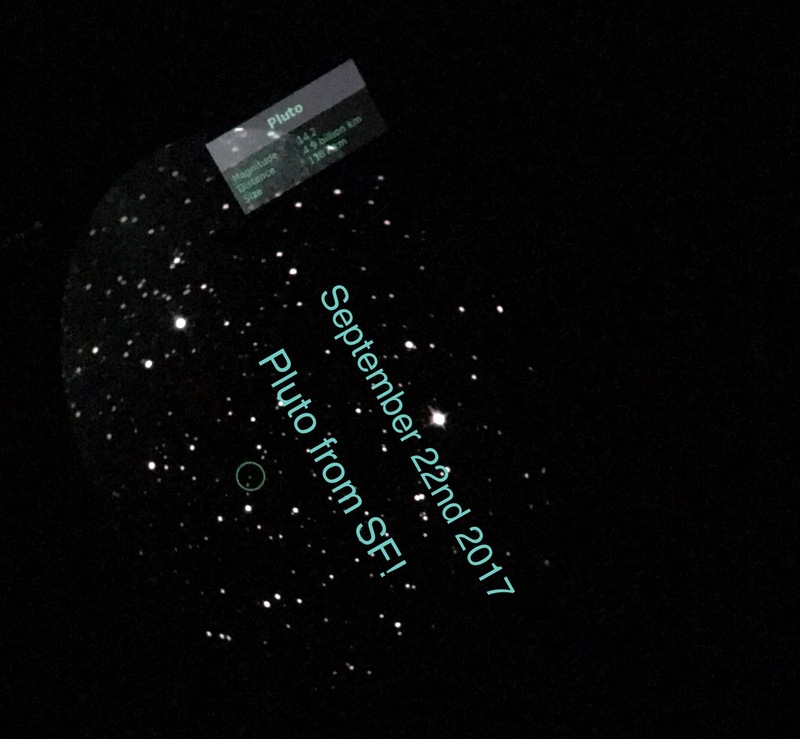 As I mentioned in my previous post, I used Automatic Field Detection to find Pluto, and started the observations in Enhanced Vision after the eVscope confirmed that Pluto was in the field of view. The picture below, which was taken directly from my eyepiece, shows what Pluto looked like a few tens of seconds after initiating Enhanced Vision. This tiny dot is indeed the dwarf planet. eVscope users have the option of uploading and reprocessing their observations later if they wish. By comparing observations on two nights, I could see that the dwarf planet (134340) Pluto was moving with respect to background stars by 46 arcmin. I identified this motion with the cyan blue circle in the animation above. What you see in the eyepiece of the eVScope while observing Pluto. 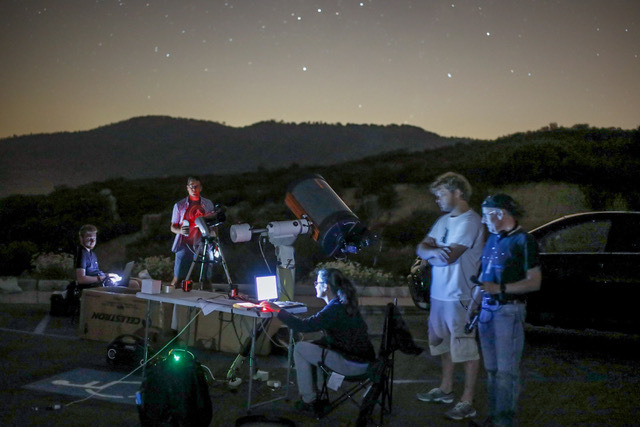 The telescope automatically labeled with a green circle the location of Pluto that is visible in the eyepiece. While inspecting the observations, I also noticed an interesting bright spot present only on September 22 that I labeled with a green circle in the animation below. A reanalysis of our data quickly showed that this transient astronomical event was not an unknown asteroid (and therefore not a discovery) or the laser signal from an extraterrestrial civilization (very unlikely, to say the least! 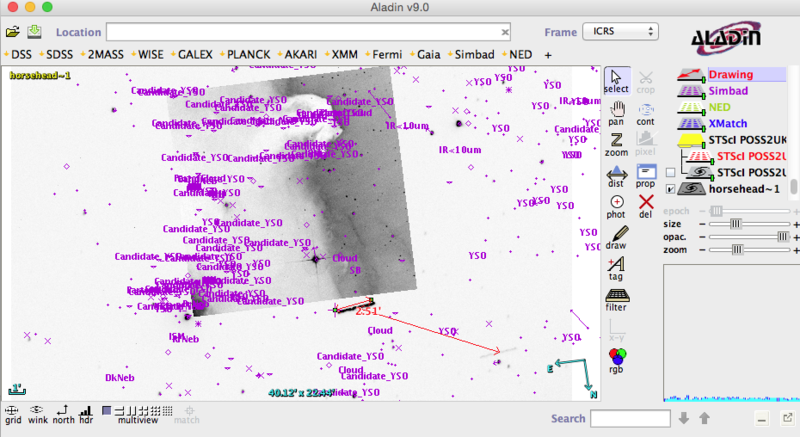 ), but rather a cosmic ray that hit the eVscope’s detector while it was acquiring one of the images. This was a good reminder of the need to carefully analyze data before coming to any conclusions, especially extraordinary ones. The eVscope allowed us to once again say hello to Pluto, this time not from Marseille, but from a backyard in one the largest cities in the U.S. On a personal level, seeing the tiny planet in the eyepiece of our telescope gave me a thrilling feeling. The eVscope’s technological capabilities are amazing, but more than that I now know where Pluto is the sky. Looking for this tiny speck of light in my garden left me feeling connected to this distant planet and the far vaster universe of which it —and you and I —are a part. I am quite interested by this scope. However there are very few informations about the scope specifications and I have some questions to ask you. Just to well understand, what do you see behind the eyepiece ? A kind of oled screen with the enhanced image, or a mixed of real sky and the amplified image display above the image from real sky ? Thank you for referring to Pluto as a planet, which it is, as dwarf planets are planets too! 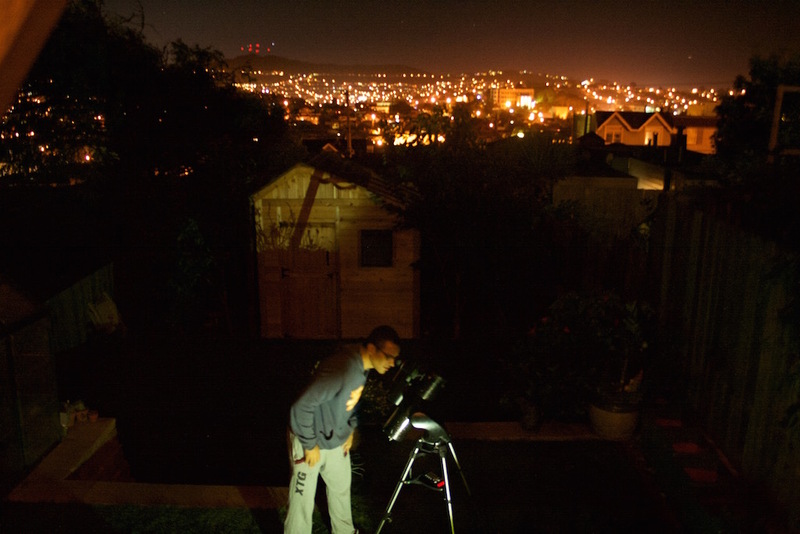 I can’t wait to get this technology so I can see Pluto from my backyard! This is so cool. I want one so bad. 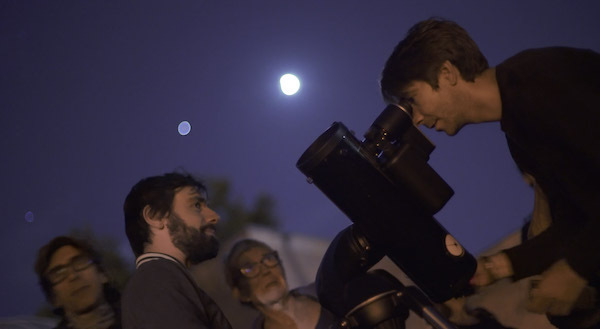 Have been collecting and using telescopes for over 50 years and am thrilled by this product. I just hope that funding and bringing this to market become a reality. There are so many challenges to be met. Good luck on this endeavor. Thank you for sharing your awesome observations! I’d love to be able to see it for myself sometime.